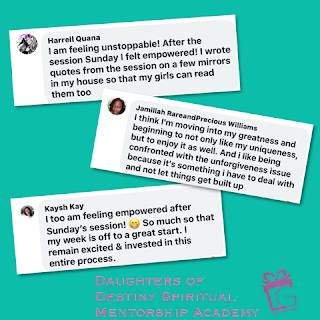 The Daughters of Destiny Spiritual Mentorship Academy is an intensive 7-week program for women to move from spiritual stagnation to spiritual fulfillment. 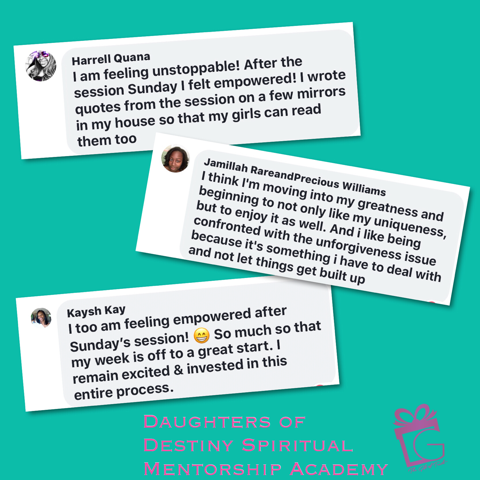 The academy is facilitated by Elder Ghia Kelly, a spiritual leader and coach who is passionate about helping others pursue their divine purpose and reach their fullest. Each cohort is limited to 7 women so that participants can share and learn in an intimate and supportive environment and all classes are conducted virtually.